As you start researching, visiting, and inevitably applying to the colleges on your list, it’s important to know that you’ve narrowed down your options to the best of your abilities. While there are plenty of ways to do so, getting down to the nitty-gritty requires a lot more than just a simple internet search or glance at the school’s website. In order to decide whether or not a school is going to make or break your top choices, you need to ask the questions that aren’t so readily known or easily answered. The best sources to contact with any questions are those who will typically be unbiased, such as former and current students. But you can also take away tons of valuable advice from professors, advisors, tour guides, or admission officers. Either way, make sure to verify that the information you’re receiving is honest and accurate in order to get the best idea of what life on campus would really be like. What is the typical weekly workload for most students? How much work is done during class and how much is assigned for homework? How accessible are most professors on a daily basis? What are the best places to study on or around campus? How easy is it to organize study groups within classes? Is there any kind of free tutoring program available to all students? What about help with writing essays or research papers? How helpful and accessible are the academic advisors? How often are students given their first choice of courses? Are all freshmen required to live in dorms? What is it like to live in the dorms? Are they coed, singles, equipped with kitchens, etc.? Typically, how are dorm roommates assigned? What kind of off-campus housing is available? Are there apartments or shared homes as well? What methods of transportation are available to students? Would I need a car to get around? Is this college considered a party school? If so, how does that affect most students’ overall experience? What are some of the most popular places for students to hang out after class or on weekends? How is the campus food? What different options are available? What clubs are available? Which ones are the most successful and popular? How large of a role do sports play in campus life? In addition, are there any club or intramural groups for students? Are there any volunteer opportunities for students in the surrounding community? If offered, what is Greek life like? What do students who participate in sororities or fraternities think about the value of these programs? What study abroad programs are offered? Do they involve internships? How many students participate in internships during the school year or in the summer? Which ones are the most popular? What types of jobs do most students have? Are there a lot of opportunities for work on and off campus? Of course, this is just a standard guide; I recommend honing in on the specifics much more closely for most of these questions, depending on what is important to you. Every school is different, and you’ll want to make sure the questions you ask fit the mold of each one properly. You can always add in questions that seem more fitting for a certain college, or just simply tailor some of these to fit your exact needs. Again, I also recommend going to firsthand sources initially. That means getting in contact with alumni and current students in any way that you can—Facebook, LinkedIn, the school’s career services office, etc. However, if you’re still searching for more answers, school faculty and staff will still be valuable resources. Also, try to do as much research as you can prior to asking questions like these. More basic inquiries can be answered by a quick Internet search—such as the size of the university, acceptance rate, or majors offered. If you’ve covered all the basics and still want to know more about a school, now is the perfect time to employ these questions. 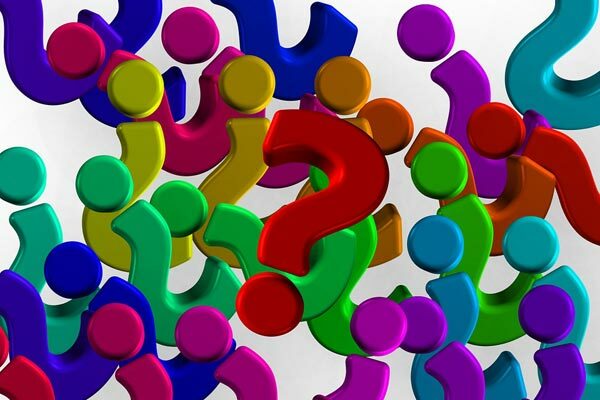 What questions do you think are key to really getting to know a school? How did the answers aid you in narrowing down your choices? Let us know in the comments!